Sharpen your baking techniques! The art and craft of Boulangerie is a much-needed skill and our programmes provide an outlet to service the ever-increasing worldwide demand. 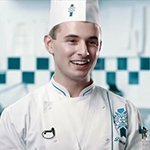 As a result, we have introduced specialized programs designed to focus on skilled techniques of classical Boulangerie, mastered by the French so many years ago. Learn from Chef Instructors in a hands-on workshop format with a 16:1 student to teacher ratio. Gain both practical and theoretical instruction. Develop and alter recipes to achieve desired results in baked products. 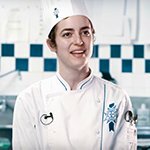 Create your own unique recipe using methods and techniques learned throughout the program.